Launched in January 2017, the 60x30 El Paso initiative brings together education, business, and community organizations to collaborate and champion change that will improve educational outcomes for El Paso students. 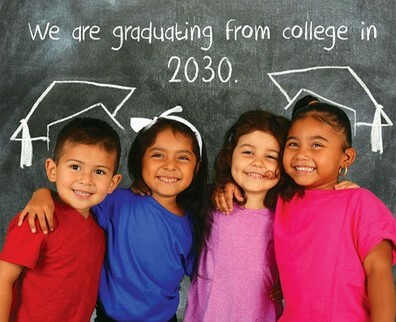 Recognizing that Texas is competing with neighboring states and globally for jobs and investments in the 21st century economy, the Texas Higher Education Coordinating Board (THECB) launched a strategic plan to increase educational attainment across the state known as 60x30TX. At the heart of this initiative is a goal to ensure that 60 percent of all Texans ages 25-34 will hold a post-secondary degree or certificate by the year 2030. 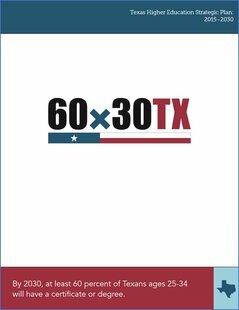 The 60x30TX strategic plan will help Texas build a competitive workforce that can meet future economic demands and compete with globally changing markets. 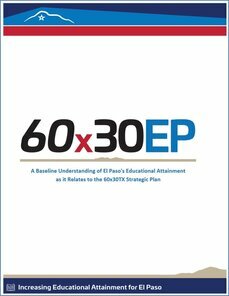 In an effort to understand El Paso's baseline in regard to the 60x30TX strategic goals, CREEED commissioned a study by the National Center for Higher Education Management Systems (NCHEMS) to identify gaps in reaching the statewide 60 percent attainment goal and corrective measures needed to be on the right track. This report and the 60x30EP Summary Report provide an understanding of the state of educational attainment in the region as well as recommendations based on best practices for how the region can meet the statewide goals and position itself to compete in an ever-changing economic landscape, as well as evolve into a leading economic region within Texas. Click here to download the 60x30EP Summary Report. ​Click here to download the 60x30EP NCHEMS Report - The Educational Infrastructure in El Paso and Selected Other Metropolitan Areas. The Texas Higher Education Coordinating Board’s higher education plan, 60x30TX, focuses on a common goal: striving for 60 percent of the 25- to 34-year-old Texas population to hold a certificate or degree by 2030. The plan seeks to increase student success through the combined expertise and resources of many stakeholders. By helping students achieve their educational goals, the state will remain globally competitive for years to come. ​You can download the full 60x30TX Strategic Plan here.